A port is a 16-bit number used to identify specific applications and services. 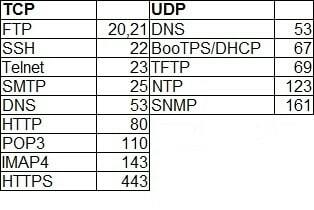 TCP and UDP specify the source and destination port numbers in their packet headers and that information, along with the source and destination IP addresses and the transport protocol (TCP or UDP), enables applications running on hosts on a TCP/IP network to communicate. In the picture above you can see that a host with an IP address of 192.168.0.50 wants to communicate with the FTP server. Because FTP servers use, by default, the well-known port 21, the host generates the request and sends it to the FTP server’s IP address and port. The host use the locally unused port of 1200 for communication. The FTP server receives the request, generates the response,and sends it to the host’s IP address and port. 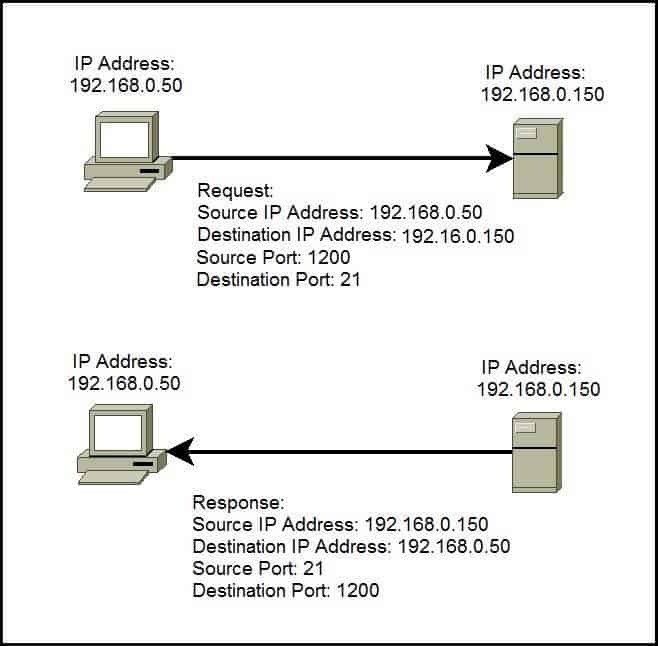 The combination of an IP address and a port number is called a socket. In our example the socket would be 192.168.0.50:1200.